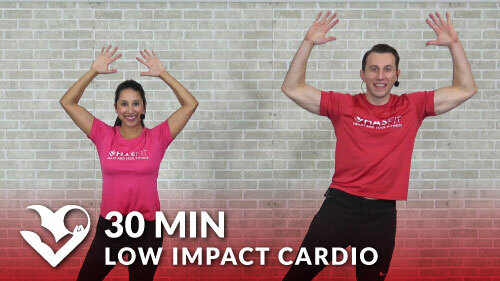 Here’s an old school cardio workout to get your heart rate up quick, fast, and in a hurry! There’s no equipment required for this routine, but you may add light dumbbells or water bottles for extra resistance. This fat burning HIIT cardio workout will leave you swimming in a pool of sweat (or at least that’s what it did to Coach).